Can I Play Poker Over the Internet in Vermont? Last updated: July 20, 2018 at 12:03pm by Savanah – Vermont is getting very close to regulating and taxing online daily fantasy sports (DFS) wagering. State Republican Representative, Ronald Hubert, introduced a bill every year from 2011-2015 that would allow one commercial casino to be built in their state. However, none of his bills have passed even though it could bring in $8-$15 million per year to state coffers by his estimation. 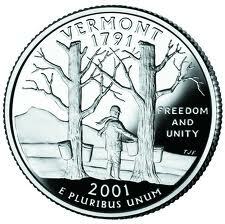 The license fee would be $6 million, and it would be issued by the Vermont Lottery Commission. If a bill ever gets passed, it would be the first casino in Vermont. This is a heavily debated and somewhat difficult question to answer. Many will say yes, others will say no, but we will do our best to explain the circumstances and let you decide. It is important to note that gambling is legal under federal law. There are certain restrictions that need to be followed, depending on the form of gambling and the state, which includes online poker. Many people think the Federal Wire Act of 1961 makes it illegal for people to play poker for money over the net; this is not the case. That law was put into place to prevent sports betting and did not specifically include other forms of gambling. Others think the Unlawful Internet Gambling Enforcement Act (UIEGA) of 2006 makes it illegal to play poker on the world-wide-web; again, not true. The UIEGA banned financial transactions from happening that were associated with online gambling, it did not ban the act itself. So basically, there are no laws currently in place, both on a federal and state level that officially mentions it is illegal to play poker over the internet. 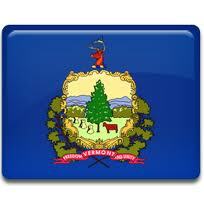 And, no one has been arrested, trialed, and accused for playing online poker in the state of Vermont. Most states have an actual definition of “gambling” which makes the law a little more clear, but Vermont doesn’t. If you are ever busted for playing a home poker game with friends or playing over the internet, you would have a strong case to fight the charges and get them dropped. Another important note to also mention about the UIGEA is gaming providers have continued to service USA customers because the actual gambling established is not deemed illegal, only the financial transactions are. Charitable gaming is legal but closely watched and regulated by the state government. For a complete guide on charitable gaming in Vermont click here; it outlines the rules and regulations in detail. It mentions only bona fide nonprofit organizations that have engaged in charitable, educational, religious or civic activities may operate games of chance. Also, the gambling law allows nonprofits to operate games of chance like raffles, bingo, card games and “break-open” tickets.